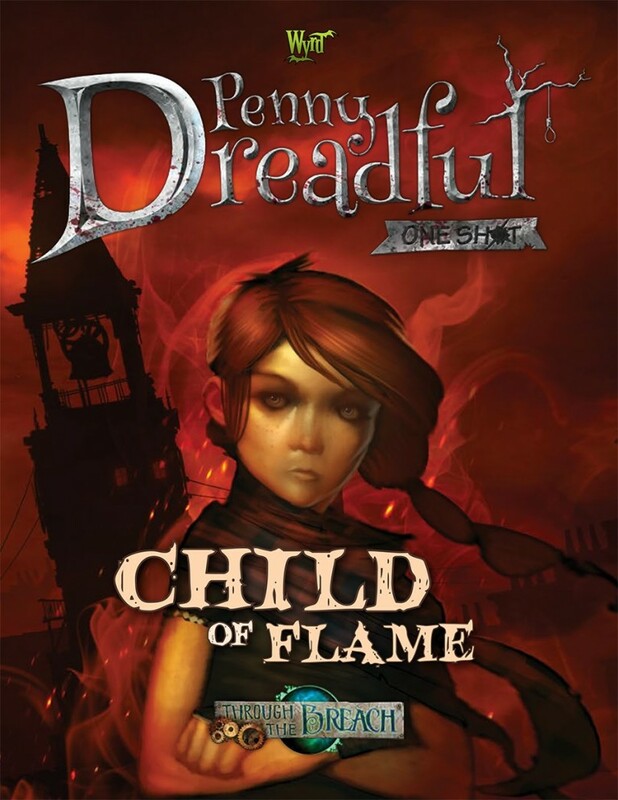 Child of Flames, available now at DriveThruRPG from Wyrd Games is a challenging One Shot adventure for the Through the Breach role playing game. It requires the Fated Almanac to play. A dangerous rescue mission finds the abilities of the Fated matched against the might of the Guild. The Fated are hired to retrieve the kidnapped daughter of a wealthy couple and return her, safe and sound, to her grieving parents. The only catch? She was captured by the Guild’s Witch Hunters… and has since been transformed into a loathsome Witchling Stalker. 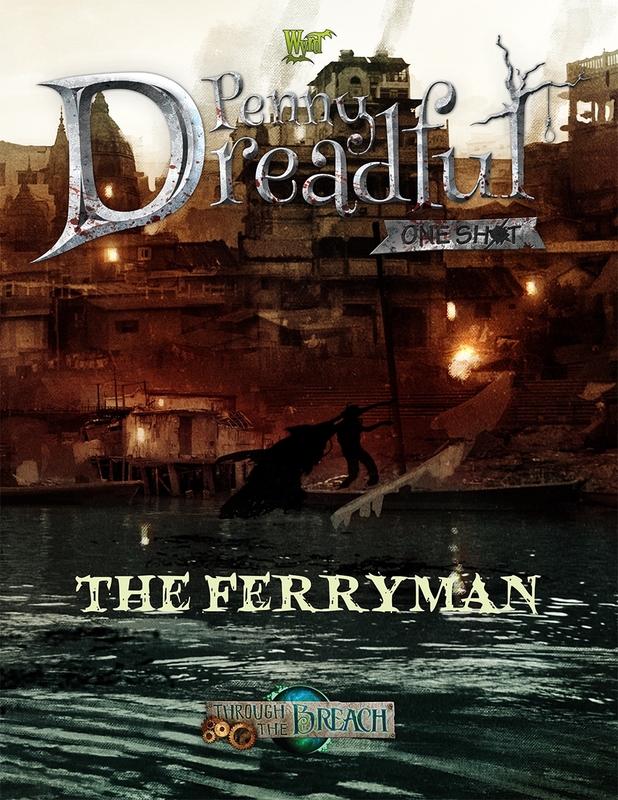 The Ferryman is a One Shot adventure for the Through the Breach roleplaying game. It requires the Fated Almanac to play. 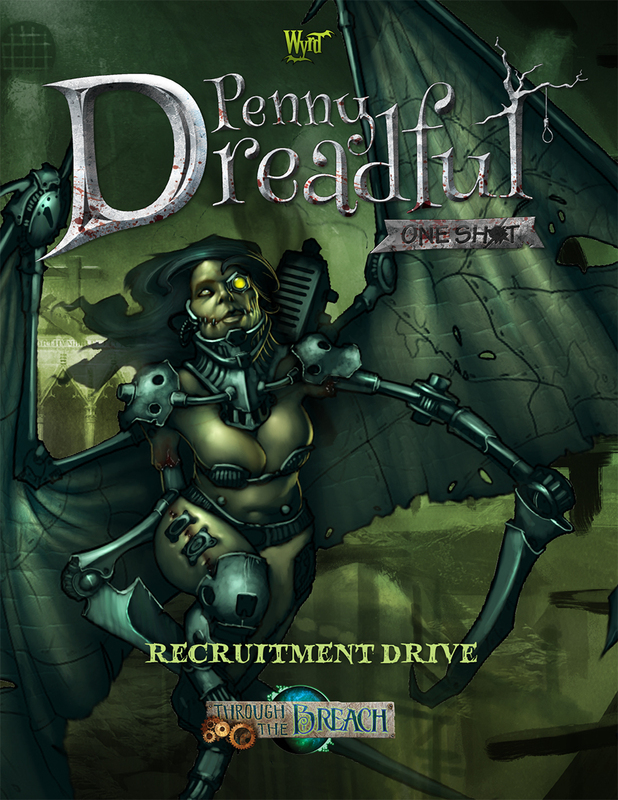 Penny Dreadful One Shots from Wyrd Games are single session RPG adventures for a party, that are only released as PDFs. They often include pregenerated characters they are designed to work with, allowing Fatemasters to choose whether to insert them into an ongoing campaign or to run a quick and dirty session of Through the Breach. Malifaux’s river isn’t as safe as it used to be, not that it was ever all that safe to begin with. Something is hunting on those dark waters, claiming the lives of sailors and stealing their bodies. When a grieving father places a sizable bounty on the creature’s head, a wave of new boats strikes out to kill the monster… but are they the hunters or the hunted? Penny Dreadful One Shots are single session adventures for a party that are only released as PDFS. They often include pregenerated characters they are designed to work with, allowing Fatemasters to choose whether to insert them into an ongoing campaign or to run a quick and dirty session of Through the Breach. How I Wonder Where You Are. Something strange is going on at the Dogsend Children’s Workhouse. Children are disappearing, and no one knows where they’re going… or at least, no one is talking. Discover the secrets of the orphanage before another child gets taken, but be sure to watch your back, lest you be taken, too. Bad Blood is a new one shot adventure for the Through the Breach roleplaying game. It requires the Fated Almanac to play. 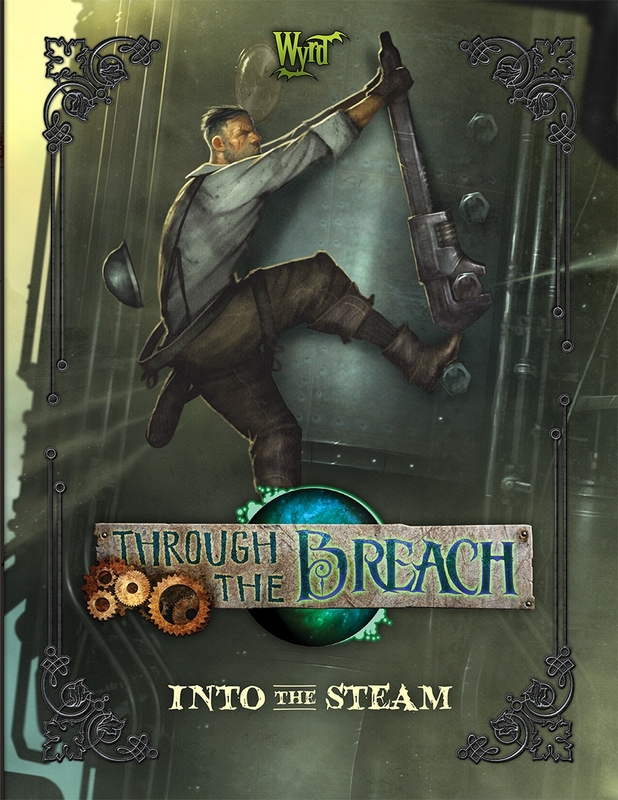 Wyrd Games’ two newest Through the Breach releases, Into the Steam and Northern Aggression, are now available on DriveThruRPG! Into the Steam delves further into the Arcanist Faction in Malifaux and the lands to the north of Malifaux City. It includes a new method of character creation (including the ability to play as a Construct), new pursuits, new equipment, environmental hazards rules, and a bestiary! Click on the image above to go to DriveThruRPG and check it out! 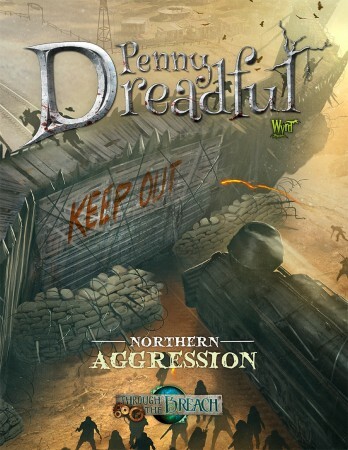 Northern Aggression is a Penny Dreadful that takes place north of Malifaux City. This 4+ part adventure will lead your Fated through a cinematic adventure across the Northern Hills. 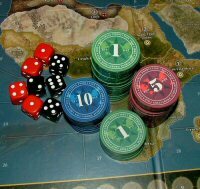 It is the first part of a larger Penny Dreadful adventure set, and a great way to get your Fated involved in the setting. Click on the image below to go to DriveThruRPG and check it out! Night of the Carver, a Penny Dreadful One Shot is now available through DriveThruRPG for Through the Breach RPG. Through the Breach RPG’s Penny Dreadful One Shots are single session adventures for a party that are only released as PDFs. They often include pregenerated characters they are designed to work with, allowing Fatemasters to choose whether to insert them into an ongoing campaign or to run a quick and dirty session of Through the Breach. RUSTLE, RUSTLE AND SNICKITY SNACK! Every year, the city of Malifaux is plagued by a series of violent murders that eventually culminate in a brutal slaughter on All Hallow’s Eve. On that haunted night, the wise stay indoors, lest they find themselves screaming at the end of the Carver’s blades. Malifaux Nightmares explore the darker characters that lurk in the shadows of the Malifaux universe. 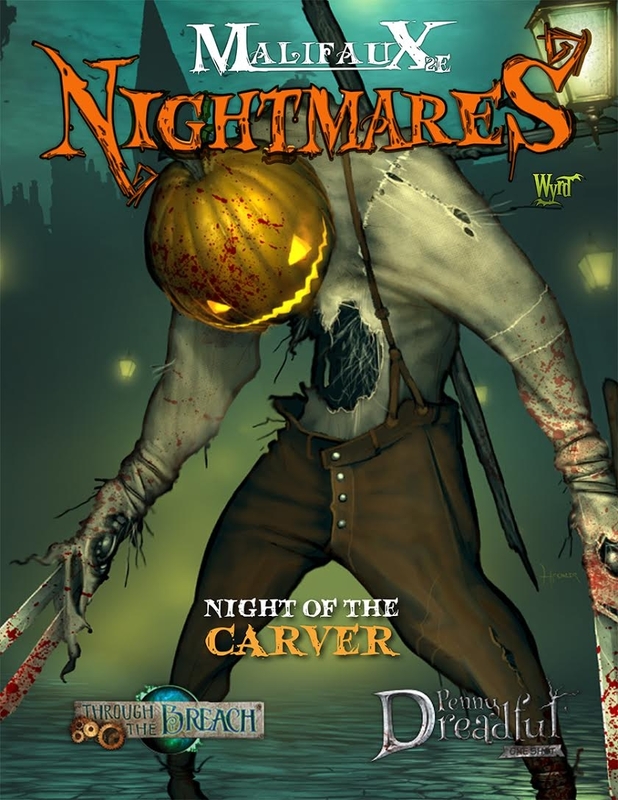 Night of the Carver is a Through the Breach one shot horror adventure that also contains three bonus Encounters for Malifaux. We believe these One Shots will be easy for Fatemasters to pick up and play on a whim, allowing players to more easily get into Through the Breach. Never run a game before? These are a great way to start! 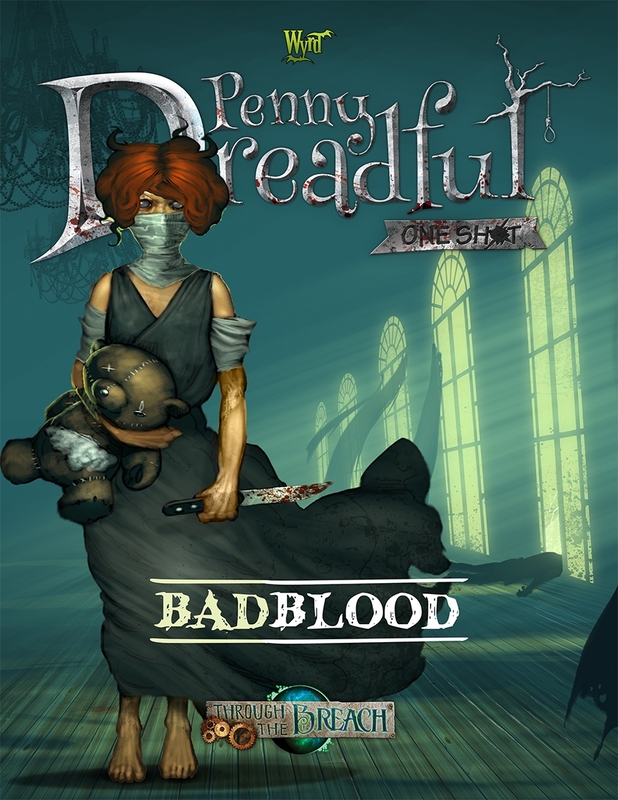 These Penny Dreadful One Shots are only available on DriveThruRPG for $5 a download.